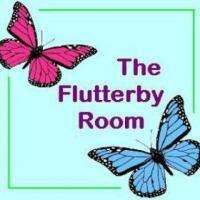 What happened on The Flutterby Room this week? What’s going on at The Flutterby Room next week? Well, technically these aren’t new books as they arrived last week BUT as I already had plenty of books for my In My Mailbox post, I thought I would post these this week. In My Mailbox is hosted by The Story Siren, it is a weekly meme where people record what books they received that week. I’ve heard good things about The Secret of Ella and Micha on several blogs, so I thought I’d give it a try. I’ve also finally caught up with the Soul Screamers series, and I’m curious about how things will end. I’m looking forward to seeing how Rachel Vincent will end things in With All My Soul. I read and enjoyed Beautiful Disaster, so when I heard there was a sequel I was curious – so I got Walking Disaster. That’s it from me this week. Hopefully there will be more than two posts on The Flutterby Room this week, but I’m not willing to make promises I might not keep. Let me know in the comments what you got this week and what happened on your blog and I will try and reply. Hope you enjoy your new books. Happy reading. Nice review of Frost Burned this week! Enjoy your new books!